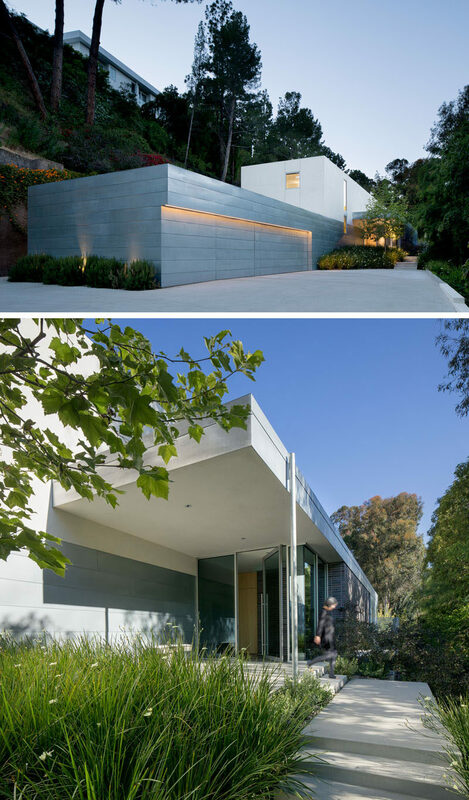 EYRC Architects (Ehrlich Yanai Rhee Chaney Architects) have designed a modern house in Beverly Hills, California, that sits on a deep and narrow site, and was built as an oasis of privacy for the home owners. Upon arriving at the house, you’re greeted by a large garage and a small garden with a path that leads to the glass front door. 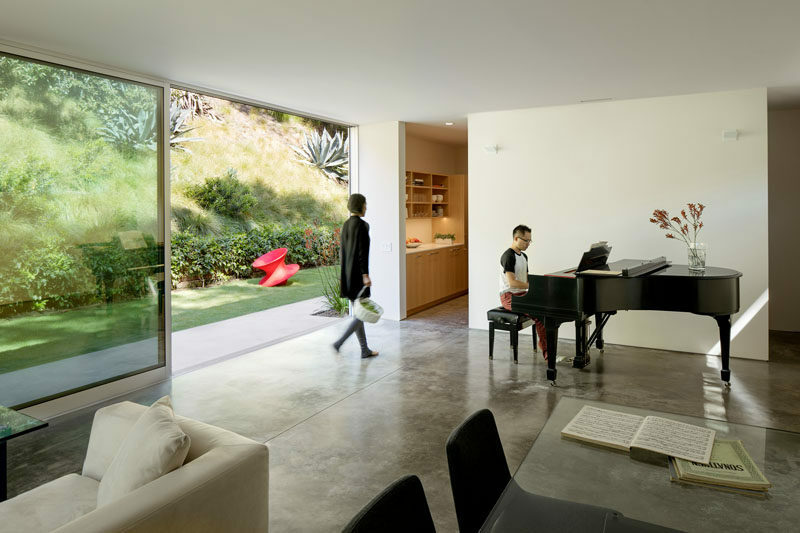 Inside, the main living areas of the home are open plan, with the living room and the dining room sharing the space, while a large sliding glass door opens to the backyard. The backyard features a long and narrow swimming pool and a concrete patio surrounds it. At the end of the pool there’s a small light-filled structure that doubles as a project studio and guest house. Inside the guest house, there’s a living room / music room and the large sliding glass door allows plenty of daylight to enter the interior. 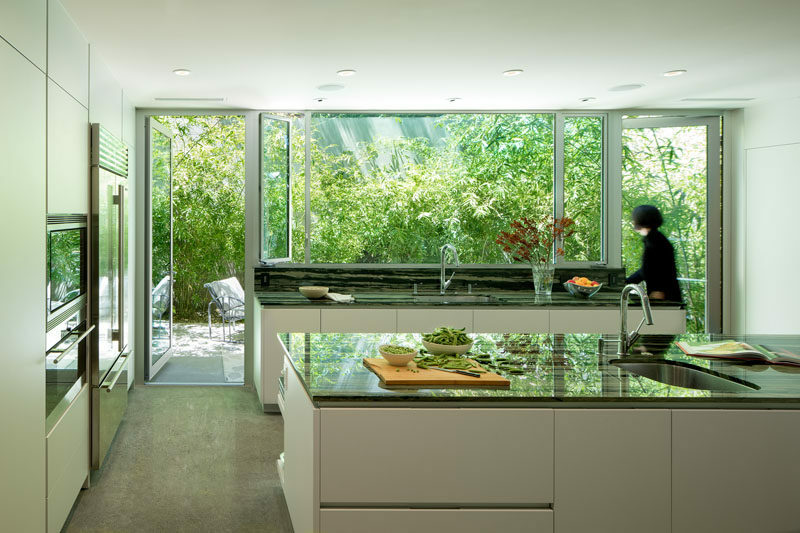 Back in the main house, the minimalist white kitchen with dark countertops has views of the garden, and two floor-to-ceiling glass doors can be opened to a small patio area. Leading up to the second floor of the home is an architectural staircase made from wood and steel that sits at the core of the house. 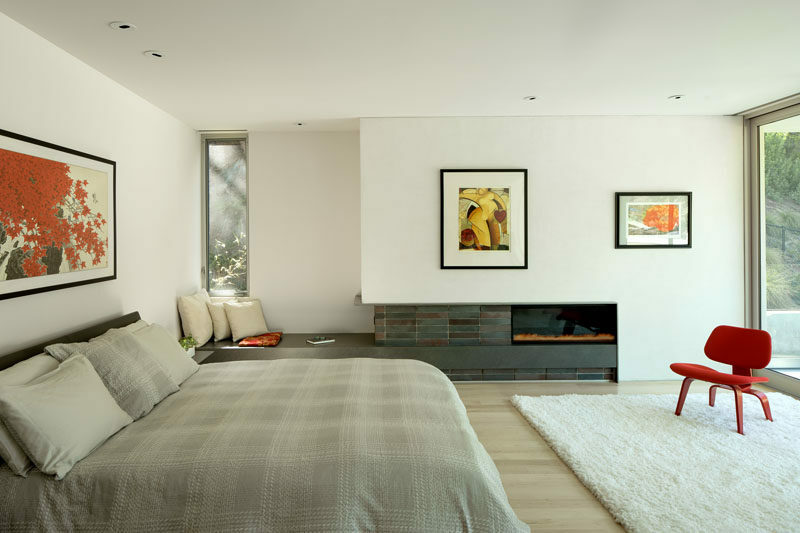 Upstairs, the master bedroom looks out over the pool, while inside, there’s a fireplace and a built-in bench for relaxing. 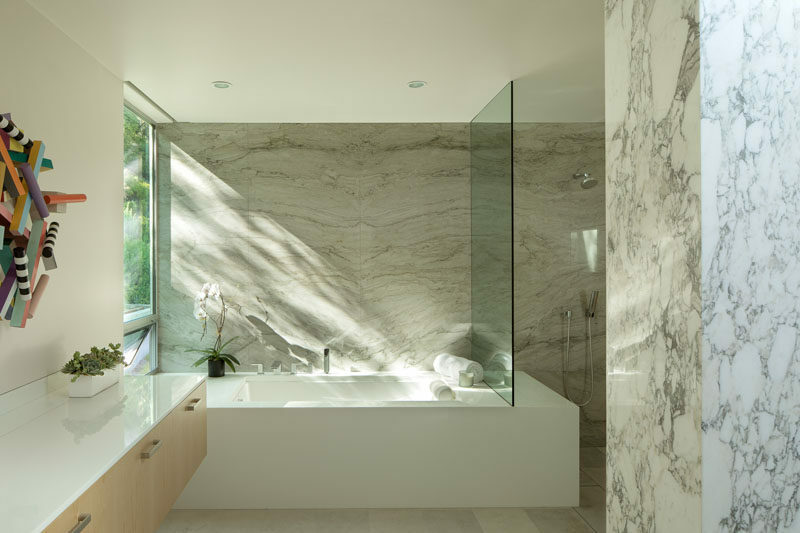 In the bathroom, a built-in bathtub has been positioned to take advantage of the tree views, and a glass partition separates the shower from the rest of the bathroom. 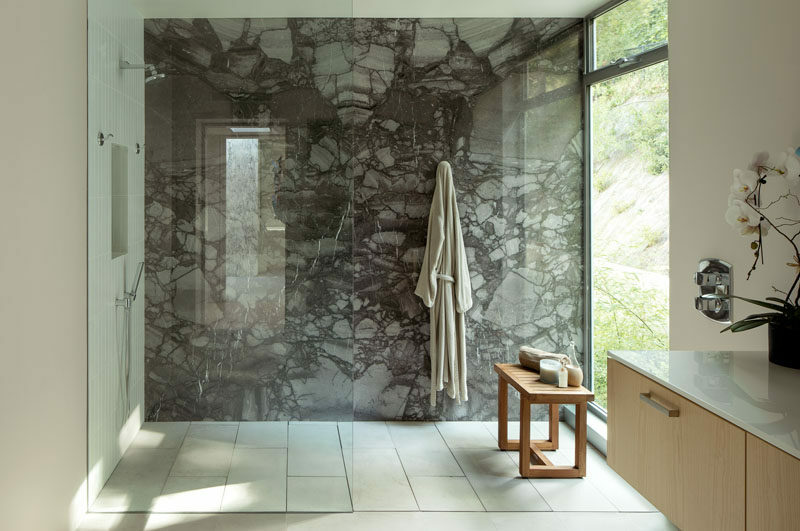 In another bathroom, a dark stone accent wall highlights the glass enclosed shower, while a large window provides ample natural light.